Remember the millennium bug? Back in the middle of 1999 there were all sorts of horror stories in the press about what would happen when the clock ticked into the year 2000. You see, back then most computer systems were designed to store the year with two digits. So it was feared that computers everywhere would go haywire thinking that time had gone back to the year 1900 on the eve of 2000. ATMs would not let you withdraw money, semaphores would stop working, elevators would take you to the wrong floor, and the world would plunge into chaos. None of this happened, but it cost billions to solve the problem though. Now fast forward the clock to the year 2014. 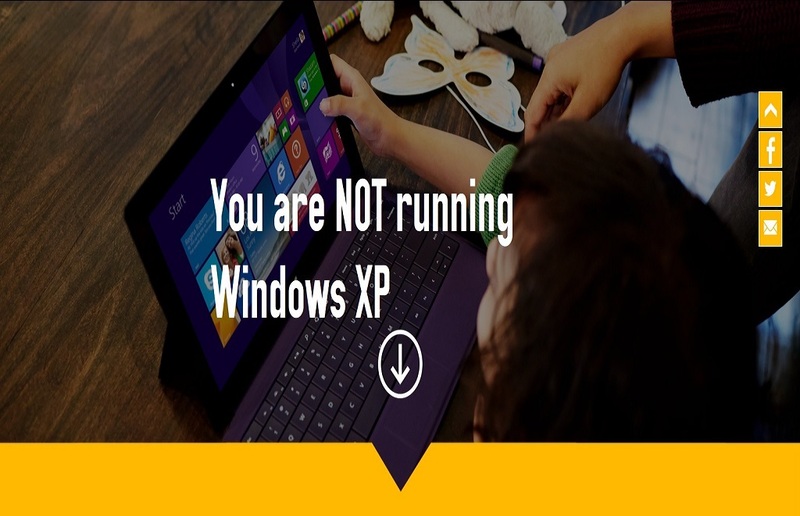 You see, there is a website that tells people whether they are running Windows XP. This is a Microsoft website to inform casual PC users, those that don’t even know which operating system they are using, that they might be running Windows XP. Why is this? Because Microsoft stopped updating good old Windows XP on April the 8th. This makes XP like a beached whale, vulnerable to all sorts of attacks. Anyone running XP is likely to be a sitting duck for any malicious hackers out there. 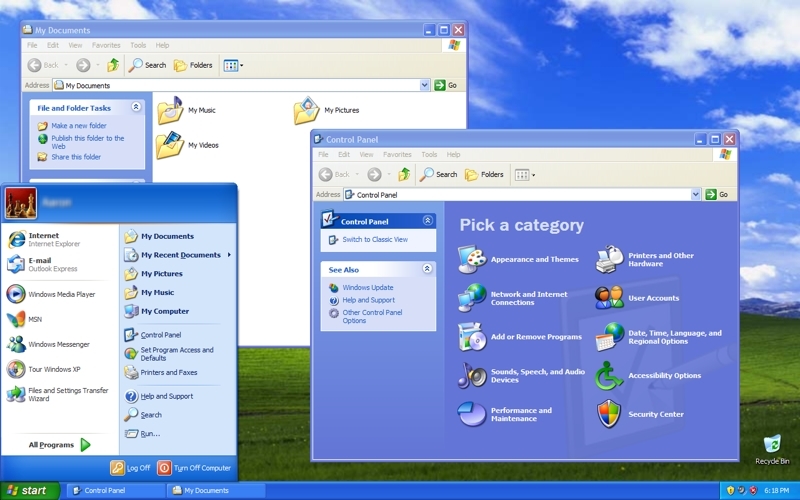 Windows XP was released in 2001, but is still the second most used OS after Windows 7 with millions of users. Of course, Microsoft wants these people to move to Windows 8, but is it in their best interests? How will someone who has been using their beloved XP for over a decade react to the mess of tiles that is Windows 8? Even worse, I can hear them scream “Where is my Start button?” Windows 9, launching in spring next year, will bring back the familiar Windows interface, one that has been with us since Windows 95. But by then those still using Windows XP will have been living in the digital Wild West for almost a year, and the result might not be pretty. They might abandon Windows altogether and enter the world of Linux, one of command terminals and hardware compatibility issues. Perhaps they could join the Apple crowd, but aesthetics come before functionality in that world, though. Could they adapt to a cream coloured MacBook with the pretty OSX? Of course, PC gamers will grab one of the remaining Windows 7 licenses, if only to make sure they can run the latest games. However, there might be worse things in store for those doing more with their computer than writing a letter with Word. Windows XP still powers many ATMs and point of sale terminals at stores. Many businesses have custom applications which run on it, such as travel agencies. A coordinated hacker attack may cause mayhem, meaning that you might end up in Borneo after having booked a plane ticket to London. With millions of people running an obsolete and unsupported OS, hackers could have a field day, making the millennium bug look like a minor scare. In the end though, Windows XP is probably a case of Microsoft being a victim of its own success. It is their most successful operating system ever, and even after three new versions and thirteen years, it is still only second to Windows 7. Of course, people might quietly (and reluctantly) upgrade their computers, and no major problems might occur, avoiding a lot of bad press for Microsoft. The software giant has made mistakes before: remember Windows Vista? Their dominant market share won’t go away anytime soon. It’s not going to be Linux, Google’s Chrome notebooks, Apple, not even their own Windows XP that does it. It seems nobody can hurt Microsoft but itself, because it can afford it. In the meantime, if I was running Windows XP I would get my upgrade plans in order, but take it easy: it won’t be as bad as the millennium bug.